While out and about this past February at the Yard, Garden and Patio show at the Oregon Convention Center, we spied a display sponsored by the Backyard Habitat Certification Program. They had excellent examples of ways to encourage wildlife and suggestions of how to do so. Above is an example from their display, featuring a Mahonia repens or Oregon grape, some maidenhair fern and I believe lady ferns. Some beautiful native bleeding heart or Dicentra formosa, a deciduous perennial, lovely springtime flowers. This was also at the YG&P show. Here's another shot of their display, featuring native ferns, Oregon grape and other lovelies. This was taken in the Columbia River Gorge on the Eagle Creek trail featuring licorice ferns and mosses in their natural habitat. Some useful information about the importance of layers in the garden and forests. This was taken recently at Elk Rock Garden at Bishop's Close, I blogged about it here. These are trilliums and sword ferns that have naturalized. Also at Elk Rock Garden, some naturalized licorice ferns. This was taken on a hike in the Columbia River Gorge on the Wahclella Falls trail. As was this, a native heuchera, I believe Heuchera micrantha. Sedum spathulifolium also in the Gorge. Love the Gorge! Here are some urban natives! This is an example of one of the many bioswales we have around Portland to absorb runoff and provide habitat. This is a corner on SE Belmont at around 57th Avenue, an example of a green street. Good drainage, good plants that absorb rains and also survive our hot, dry summers. Here are some more examples of Oregon Grape and some grasses - Junucs effusus and others. This rain garden or bioswale is just around the corner from the one pictured above. More native Juncus effusus and other adaptable plants. This is just pretty. A shot of the creek at Ramona Falls on Mount Hood. See how pretty native can be? OK, now for some real gorgeousness. 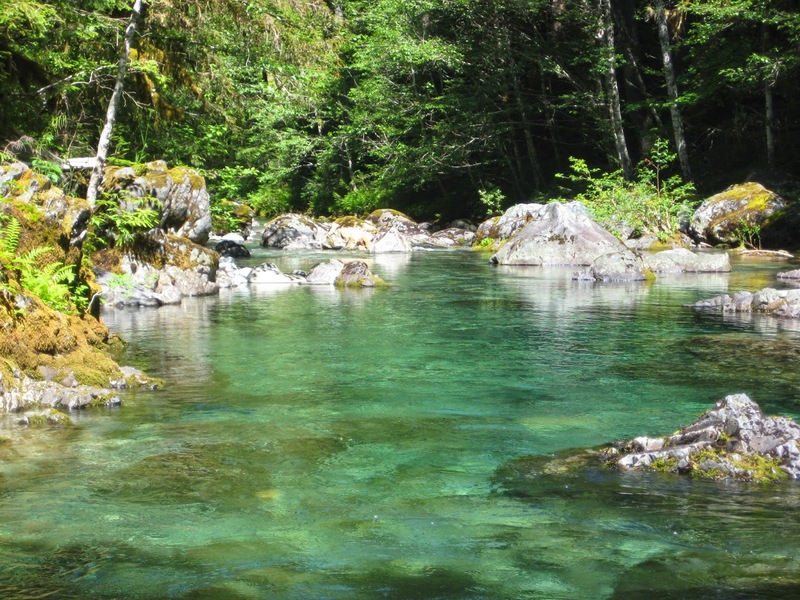 This is Opal Creek east of Salem. See that pristine water? That is a result of the surrounding old-growth forest being preserved for future generations. This is why I garden as I do, responsibly and sustainably. This is a treasure of a place I'd love my nieces and nephews to enjoy, as well as their kids and yours, too. 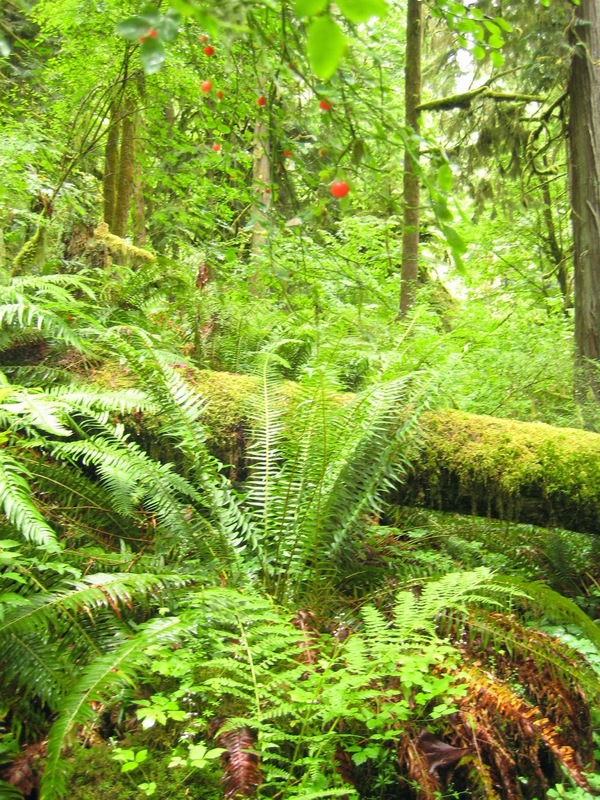 Some Western hemlock trees, ferns and other native species of plants. I feel SO lucky to be able to experience this. The granite rock creek-bed really reflects the light on a summer day. Here's a native bigleaf maple or Acer macrophyllum. 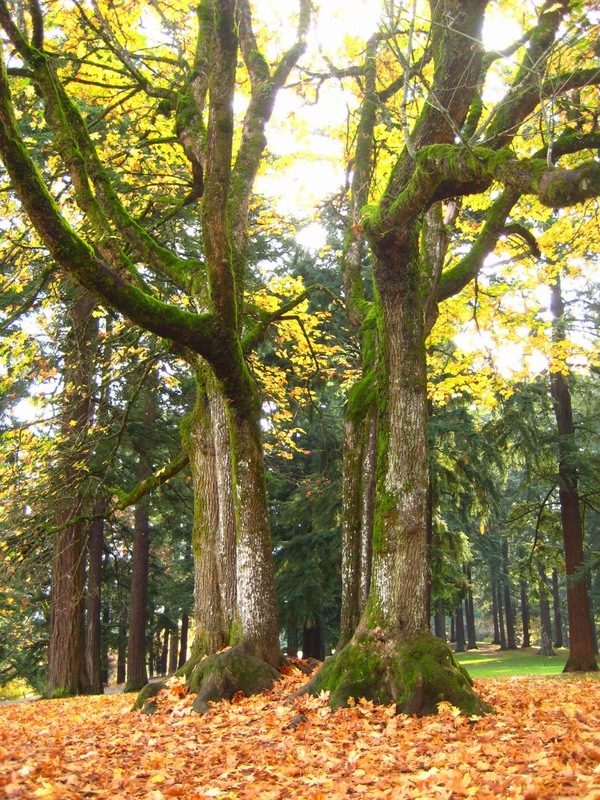 This is my favorite tree in Portland; it's perched at the top of Mount Tabor. She's a beauty in all seasons. In the background, a grove of huge native Douglass fir trees. Oxalis oregana seen at Cape Horn on the Washington side of the Gorge. Want to encourage reptile and amphibians to the garden? The Backyard Habitat display at the YG&P show has some great suggestions. I could picture amphibians cruising around here...maybe some salamanders amongst the Western sword ferns? This was taken at Oxbow Park east of Gresham along the Sandy River. This beautiful conifer forest is at Cascade Head on the Oregon Coast. Again, Western sword ferns, hemlocks and Douglas firs. There is a beautiful carpet of Oxalis, too. Bear grass or Xerophyllum tenax as seen in the Mount Adams wilderness area in Washington state. I blogged about it and Bird Creek Meadows here where you can see some amazing native wildflowers. Some native lupine and asters. Some good suggestions to be a lazy gardener! I like this suggestion, and it's easy to do, especially good for the native bees. Brush pile or tree mangle? Hard to tell sometimes. Anyway, this is at Bird Creek Meadows. I imagine there are LOTS of critters hiding in there. 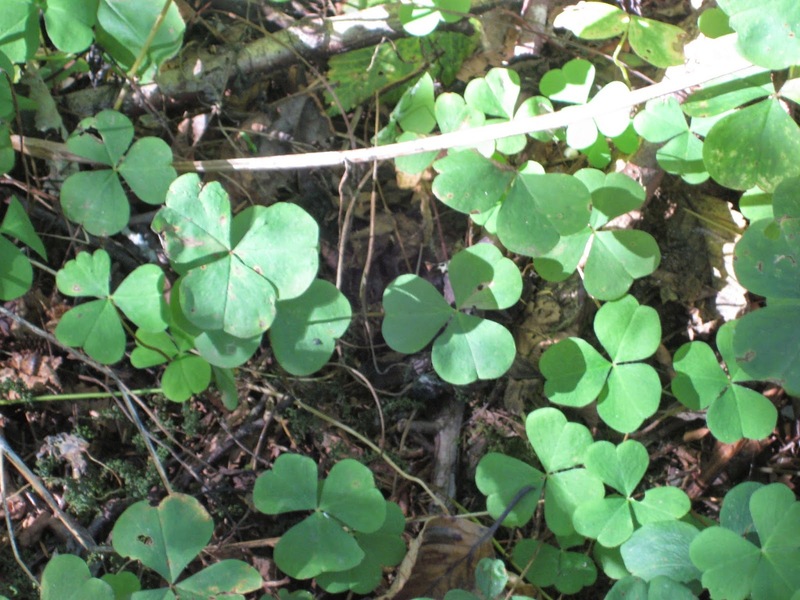 And last but not least, another carpet of Oxalis in the deep forests of the Oregon coast. The thing about adding native plants is this: Just one makes a difference. I'm not one to scoff at ornamental plants, I love them! I love to mix them with natives to see what balance of beauty and habitat I can create. Really, if you have none in your garden and decide to add just one rather than an invasive plant or another ornamental, you're helping! It's fantastic. Every little bit helps. If we all pitch in a bit and plant appropriately for our respective areas, we create pockets of habitat and beauty. Plus, in the end they are much less maintenance than many of the more demanding ornamentals...and who doesn't want more time to enjoy the garden, sip a drink at the end of the day and watch the butterflies go by? I certainly do. Until next week, thank you for reading and happy gardening! Great post! 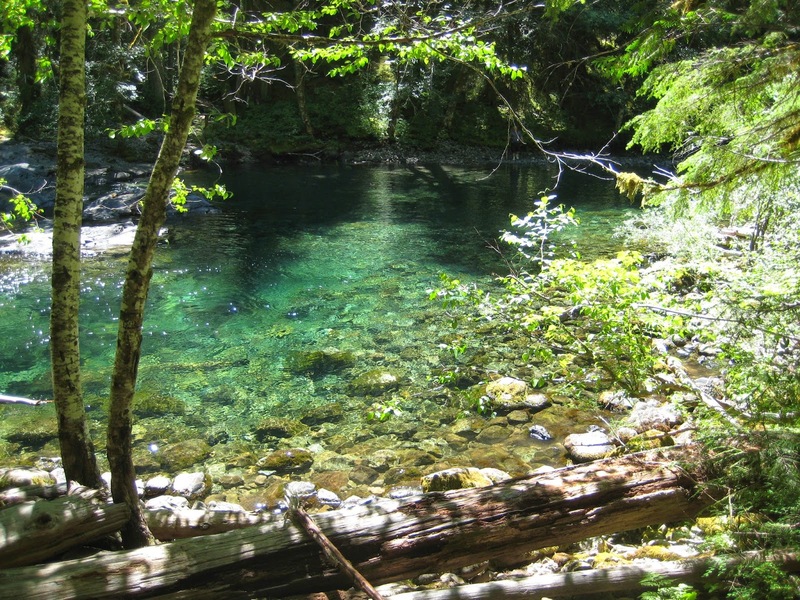 I especially like your bioswale examples and the photos of Opal Creek. We haven't been there yet and it looks beautiful. Hi Wendy, thanks for your comments! 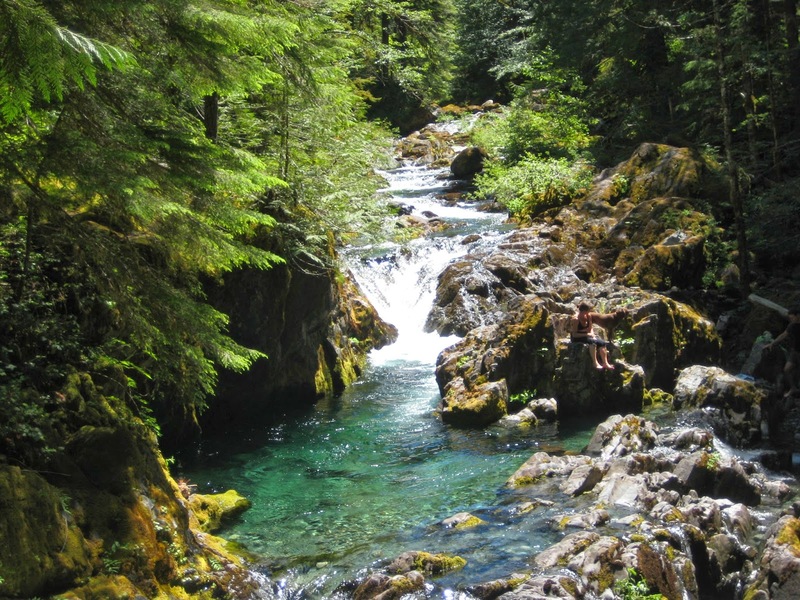 I know, isn't Opal Creek amazing? I hope you get a chance to see it one day, it's worth it. I have a lot of PNW natives in my garden too, I love them. It was interesting seeing them out in the wild in your photos. Hi Alison, that's great! What do you have? I think they are gaining in popularity if not from their hardiness but also their beauty. Mom Nature sure knows her stuff. Great displays of native plants in your area...I love natives and have added more and more every year...fun to see all the critters show up once you plant the natives.